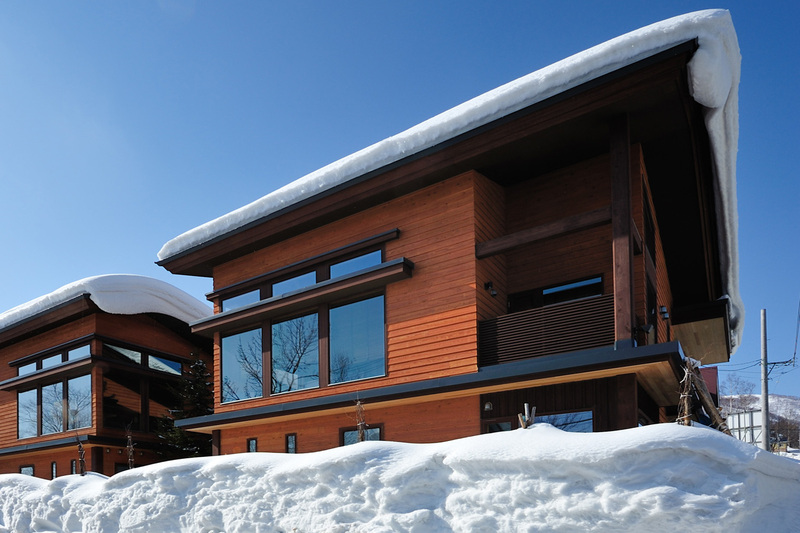 Designed to combine luxury western comfort with traditional Japanese touches, Tsubaki fulfills your entire wish list for a relaxing family trip. 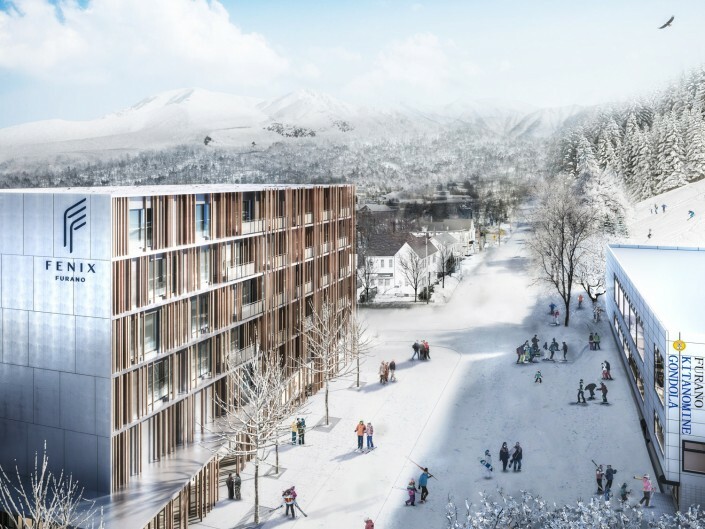 Blessed with sweeping views of Mount Yotei and the Hirafu ski area through large, floor-to-ceiling glass windows, Tsubaki’s convenient main Hirafu village location is just a five-minute shuttle bus journey to the Hirafu ski area. Shuttle bus stop is two minutes from the house, while guests enjoy complimentary use of an 8-seater 4WD van. Also in close proximity is a slew of restaurants and bars, as well as a convenience store, all within walking distance. 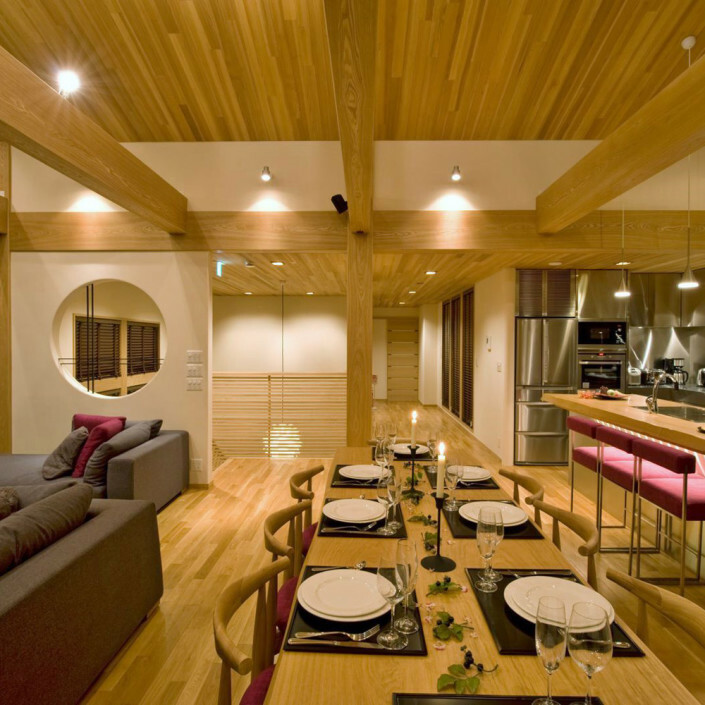 The house features an over-sized living and dining area, oozing an air of Japanese minimalism throughout ample open space and dynamic ceilings. 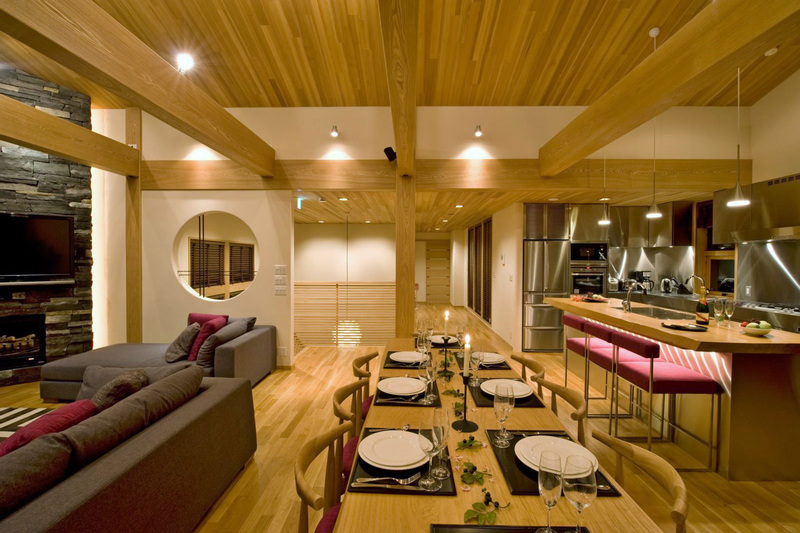 The use of Hokkaido-made timber soothes your senses as it fills the space with a light and airy atmosphere. 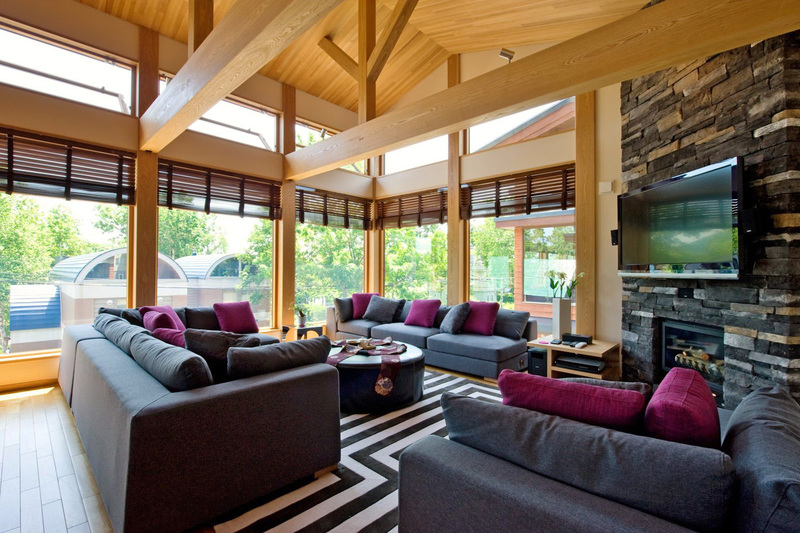 Dramatic spaces like the Japanese garden bring life and tranquility into this holiday home. 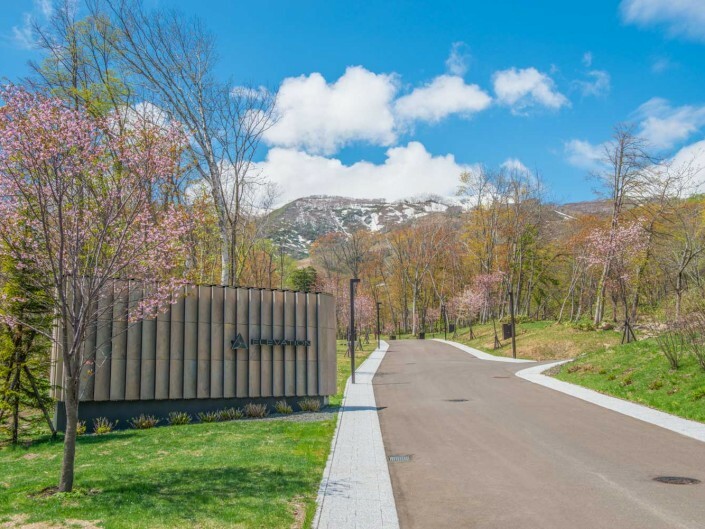 Committed to sustainable building, the design team used local materials whenever possible, including Japanese cedar cladding, Hokkaido oak flooring, ash post and beams, and larch framework. 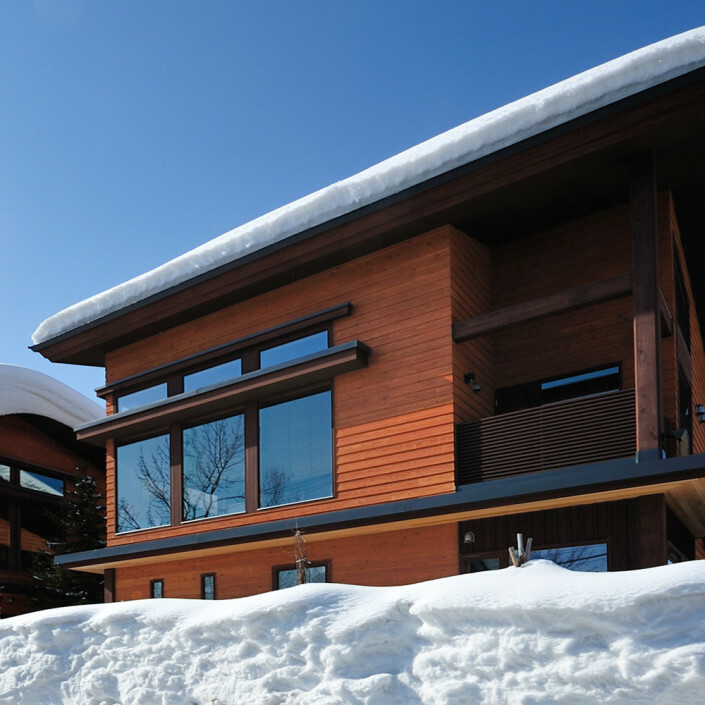 An additional layer of insulation, efficient heating systems, and insulated windows ensure this luxury chalet’s eco credentials. All four spacious bedrooms come with a lavishly appointed en suite bathroom. One of the rooms has a king bed, one houses four kids’ bunks with a dedicated TV and play area to keep the little ones entertained, while the other two can be flexibly configured as doubles or king. 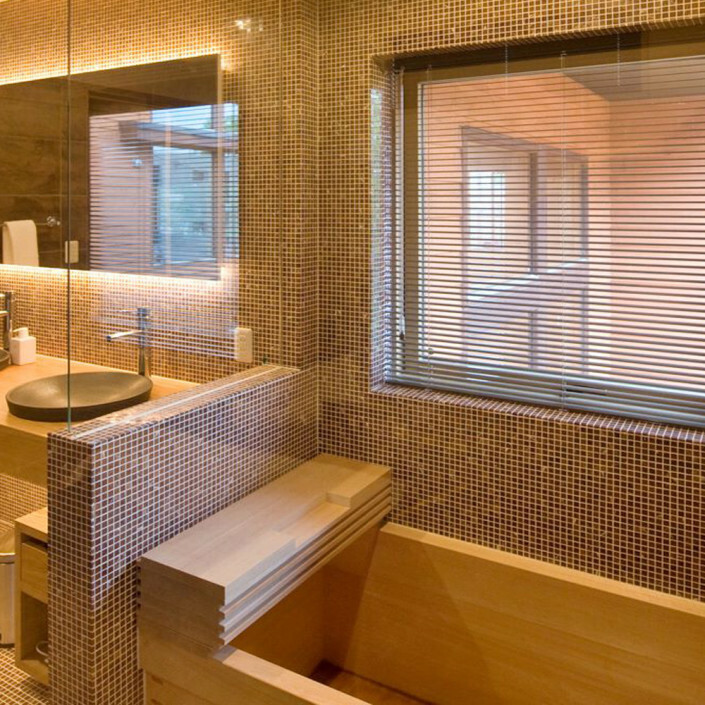 The bathrooms feature oversized showerheads and in-floor heating. 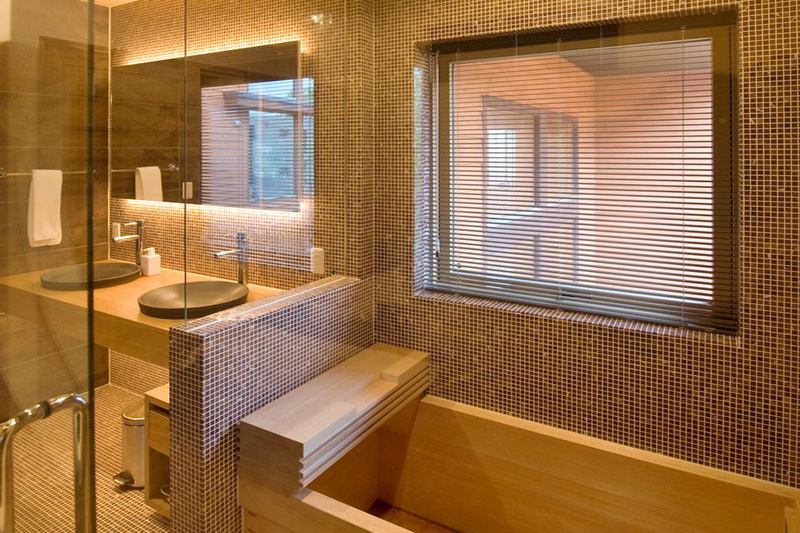 There is also a huge Hinoki bath perfect for draining away all the fatigue from your worn out limbs. 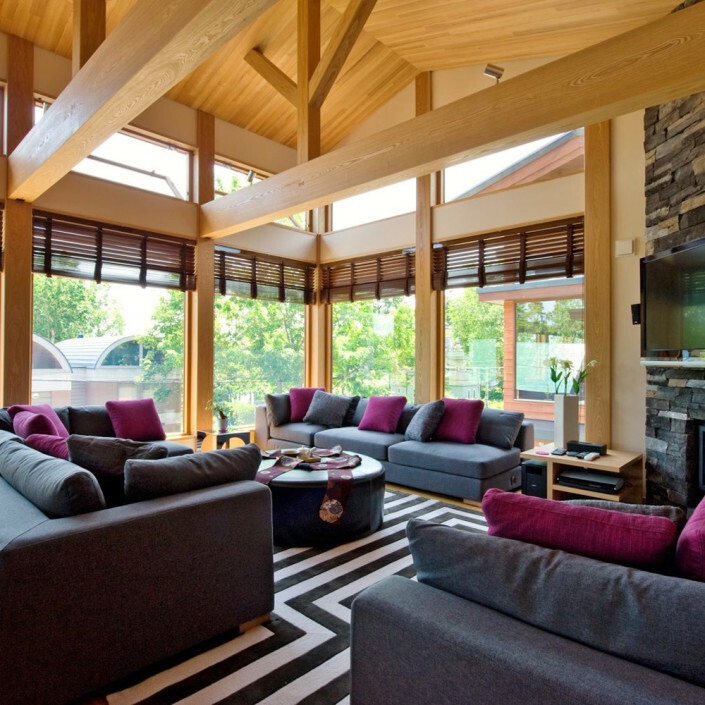 The main open living area features a gas fireplace and sensor lighting for a cozy ambiance. It connects to a fully equipped kitchen, fitted with a host of Miele and Gaggenau appliances for professionally cooking, and spacious dining area ideal for hosting house parties. 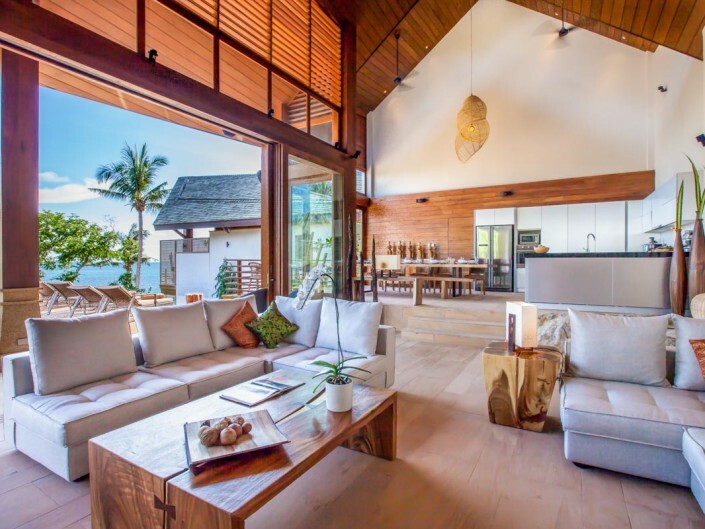 Places to chill also include a designated garden space, beautifully landscaped with the traditional Japanese architecture in mind, plus several covered balconies to breathe the outdoors into your home. 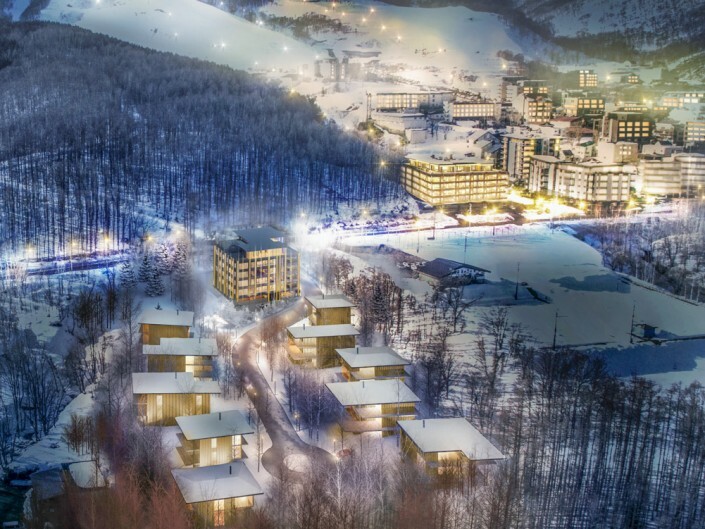 With ski lifts a short walk away, the house comes with laundry facilities in the ski equipment storage and drying room. There is also a private garage, where guests can use to park the 8-seater rental 4WD van for their complimentary use. The house is a half of the Ebisu estate, standing side by side with sister Miyabi.